Today was another day like most of the others this week. Sunny and hot. No rain today. It was also our last Sunday at Francis Asbury UMC. We have really enjoyed this small congregation. They have made us feel welcome and appreciated. There were many sweet goodbyes and thank you’s from the congregation today. 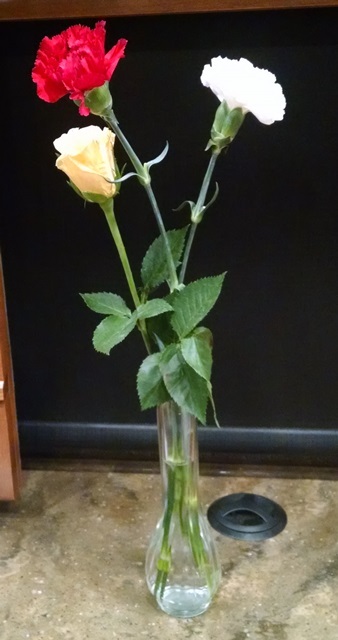 They also gave us flowers today since it was Mother’s Day. If things go as planned we will join them again in February of 2019. Until then we will continue to pray for God’s blessings on this congregation and community. After worship we had a light lunch because the team got together for supper. 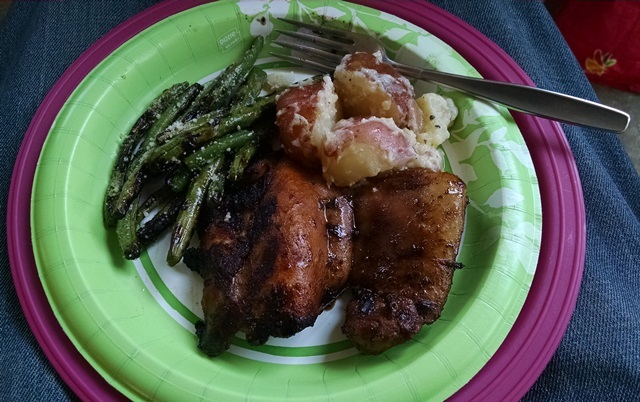 We grilled some chicken and had our fresh veggies we purchased at the market yesterday. Our new team members arrived late this afternoon as well so we had our introductions over dinner. We also celebrated Lisa’s birthday a day early, with some cup cakes and ice cream (which we made and was more the consistency of a milk shake. Oops.) We have so enjoyed getting to know Lisa. Happy Birthday, Lisa, and many more!! After grilling separately we came together to eat. By the time we got everything cleaned and put away it was too late to go back to the park to walk so we just did a few rounds of the parking lot. That was it for our day. It was a hard one for us. It was a wonderful birthday. Thank you.